Earlier, we reported on a California Court of Appeals decision – Roy Allan Slurry Seal, Inc. v. American Asphalt South, Inc. – which held for the first time that a second-place bidder on a public works contract could sue a winning bidder who failed to pay its workers prevailing wages, under the business tort of intentional interference with prospective economic advantage. Fast forward nearly two years, several amicus briefs, and “one doghouse”* later and the California Supreme Court has . . . reversed. 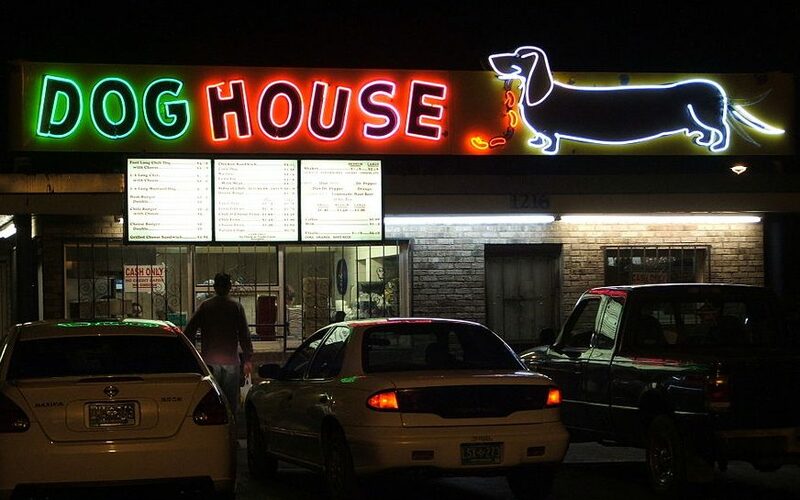 * I have no idea what the doghouse refers to. To catch you up, or rather, refresh your recollection . . . Between 2009 and 2012, American Asphalt South, Inc. was awarded 23 public works contracts totaling more than $14.6 million throughout Los Angeles, Orange, San Bernardino and San Diego counties. Two of the losing bidders on those projects – Roy Allan Slurry Seal, Inc. and Doug Martin Contracting, Inc. – sued American in each of these counties for intentional interference with prospective economic advantage as well as under the Unfair Practices Act (“UPA”) (Bus. & Prof. Code §§ 17000 et seq.) and the Unfair Competition Law (“UCL”) (Bus. & Prof. Code §17200). Their claim was that American was able to submit the lowest bid because it didn’t pay its workers prevailing wages and, because their material costs were essentially the same, had American paid its workers prevailing wages, Allan and Martin would have been the lowest bidders on the projects. The California Court of Appeals for the Second District agreed as to the intentional interference with prospective economic advantage claim (but not the UPA or UCL claims) finding that “an actionable economic expectancy arises once the public agency awards a contract to an unlawful bidder, thereby signaling that the contract would have gone to the second lowest qualifying bidder.” Or, in other words, because Allan or Martin would have been awarded the contracts but for American’s unlawful failure to pay prevailing wages, they had an economic relationship with the awarding governmental entities with the probability of a future economic benefit that Allan intentionally interfered with by submitting an artificially low bid by failing to pay prevailing wages. Economic harm proximately caused by the defendant’s action. As to the first element, the Supreme Court explained that it has two parts: (1) an existing economic relationship that; (2) contains the probability of an economic benefit to the plaintiff. But where “an economic relationship with a third party is too attenuated or the probability of economic benefit is too speculative” there is no viable claim for intentional interference with prospective economic advantage. Here, however, public agencies are required to award contracts to the lowest responsible bidder, or not at all, and thus there is no “existing” economic relationship between bidders and a public entity. Rather, at the time of bid, bidders on public works projects do not know who will be the lowest bidder nor whether a pubic entity will withdraw a request for proposals. Thus, Allan and Martin “cannot rely on the outcome of later events to prove that American interfered with an existing economic relationship. For these reasons, the public works bidding process differs from the types of commercial transactions that traditionally have formed the basis for tort liability [for intentional interference with prospective economic advantage]. In ordinary commercial transactions, “there is a background of business experience on the basis of which it is possible to estimate with some fair amount of success both the value of what has been lost and the likelihood that the plaintiff would have received it if the defendant had not interfered.” By contrast, in these public works contracts, the bidding was sealed, there were no negotiations, all qualified contractors were on equal footing regardless of past contractual dealings, the public entities were required to determine the bidder’s responsibility, and they retained discretion to reject all bids. These circumstances counsel against extending a tortious interference claim to the bid process for these public works. Well, there you have it, the highest court in state has spoken and nixed intentional interference with prospective economic advantage claims by unsuccessful bidders in public works disputes leaving unsuccessful bidders with the remedy of challenging an award based on a winning bidder’s responsiveness and responsibility which we’ve talked about before. And since we’re talking about how public works projects are kinda “special” here’s a throwback from the early 80s. Enjoy. I wonder if the tort of intentional interference with prospective economic advantage could be used for sales reps who have their lines poached by other reps…. One doghouse is about six inches of paper in Appellate lingo. Thanks Dave. With your reference I looked it up and indeed one “doghouse” is approximately six inches of paper – http://www.calblogofappeal.com/2013/03/21/what-is-the-appellate-doghouse-and-why-should-you-care/. Thanks for spreading the knowledge!